The 2011 Tōhoku earthquake and tsunami on 11th March wreaked enormous damages on Izura area of North Ibaraki city, where the internationally renowned founder of modern Japanese arts, Tenshin Okakura(1863-1913) lived and did his research activities. He was the mentor of outstanding modern Japanese artists such as Taikan Yokoyama, Shunso Hishida, Kanzan Shimoyama and Buzan Kimura; and Izura is also important for them as well. Rokkakudo in Izura was a historical building constructed by Okakura himself in 1905 on his property and is now conserved by Ibaraki University. However, it was demolished by the tsunami which was nearly 10 meters high and washed away the building; and now only the foundation was left on the site. Okakura's house also had serious damages by the quake and tsunami: it was flooded and has huge fissures in the walls. Since the incredible damage of Rokkakudo was on the news and reported throughout the world, we have had a large number of offers to support reconstructing the buildings from persons involved here and abroad such as India and USA(Boston). 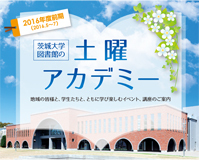 Thus we set up the funds for reconstructing the historically important buildings in Izura. 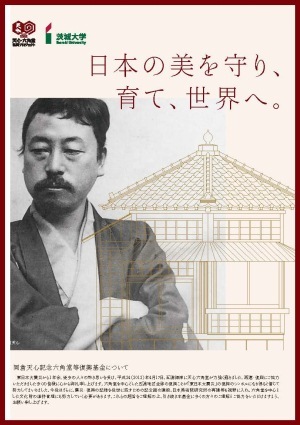 We would like to reconstruct Okakura's buildings with the supports of the Ministry of Education and Science, Ibaraki Prefecture, North Ibaraki city, Japan National Trust, the other organizations and those who donate for the reconstruction. In particular, searching for the building materials of Rokkakudo submerged by the sea should be done before the typhoon season (from June to September in Japan) and it is very urgent. Based on the survey, we are planning to salvage the building materials as many as possible from the sea and reconstruct Rokkakudo. The funds will contribute not only to the investigation and the recovery operations but also to the restoration of Rokkakudo and the historical buildings in Izura. We are convinced that Restoration of Rokkakudo would be a symbol of revival from the earthquake and tsunami. With understanding of the purpose of the funds, we would be grateful for your cooperation. 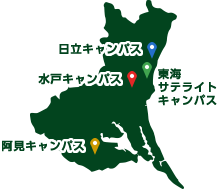 Copyright © Ibaraki University. All rights reserved.